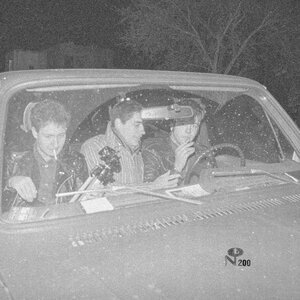 3 disc reissue of early recordings by Husker Du. First disc streaming at NPR. I've got a lot of this stuff on bootlegs, but I'll be getting this for sure. Also have some of this on bootlegs but having it all in one place and sounding good was too good to pass up on. Managed to snag one of the silver boxsets with the Extra Circus 7"
Probably my favorite band. I have been following numero's cryptic messages for over a year. Stoked! Fingers crossed that the SST era will get the same treatment. A remastered/remixed New Day Rising would be insane. Just ordered the CD set with the 7". Look forward to it. Nice that some Husker stuff is happening (merch, etc.). I suspect getting the band members and Greg Ginn on the same page will be a Herculean effort, but any remastered SST stuff would be amazing. Got the CD set plus bonus 7" today. Really good remastering. These old recordings are very clear compared the original releases and bootlegs. I've heard just the disc 1 so far, but I'm impressed with the whole package. I suspect this is a completists/fanatics only purchase to an extent. The Pre-SST material won't always resonate with those who are casual fans.